Iyama defends Meijin, achieves second Grand Slam: The fifth game in the 42nd Meijin title match was held at the Atami Sekitei inn (below left), one of the traditional venues for the Meijin, in Atami City in Shizuoka Prefecture on October 16 and 17. 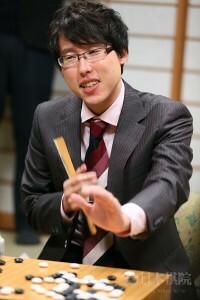 After winning the first game in the match, the defending champion, Takao Shinji Meijin, had lost three in a row, so he faced his first kadoban. The game got off to a stormy start, with Takao, who had white, capturing a large group of Iyama Yuta’s. Actually Iyama (right) could have made a second eye, but he didn’t like the result, so instead he discarded the group and tried to squeeze on the outside as compensation. As usual, it was a fierce game, and the lead switched back and forth. In the end, Iyama set up a ko to kill the white group surrounding his “captured” group, and Takao had to resign when he ran out of ko threats. Losing this title to Takao (left) last year cost Iyama his simultaneous grand slam, the first in Japanese go history. In the meantime, he defended his other six titles, so regaining the Meijin gave him his second grand slam, a first for. This is a first for go or shogi. Iyama maintained the first one for 197 days. Fans will be looking forward to his extending this. This is his 46th title, which leaves him in sixth place, one behind Kato Masao. 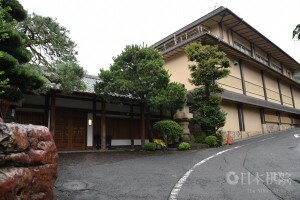 This success earned Iyama a report in the nightly news, which also revealed in passing that his tournament prize money now amounted to 1,000 million ten (about $9 million). Iyama makes good start in Oza: Just three days after regaining his grand slam, Iyama was busy with maintenance, meeting the challenge of Ichiriki Ryo 7P for the 65th Oza title. 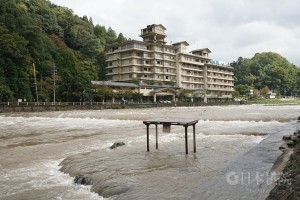 The first game was played at the Yokohama Royal Park Hotel in Yokohama City, Kanagawa Prefecture, on October 20. Iyama drew white. The game started with a fierce struggle for the initiative, and fighting continued to the end. 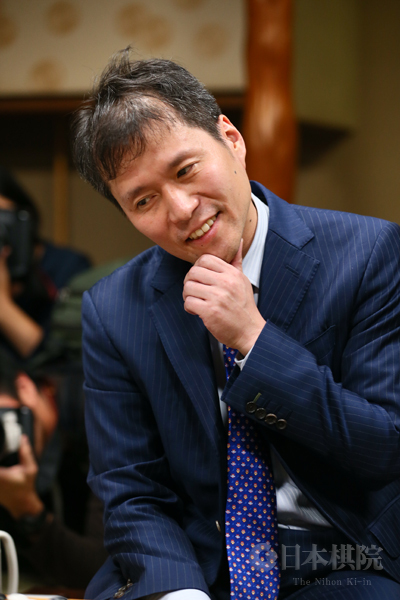 Iyama was able to take an edge, leading Ichiriki to resign after 168 moves. The second game is scheduled for November 18. Iyama extends lead in Tengen: The second game of the 43rd Tengen title match was played at the Hotel Emisia Sapporo in Sapporo City, Hokkaido, on October 27. Taking white, Iyama Yuta secured a resignation after 162 moves, making the game almost the same length as the Oza one reported above. 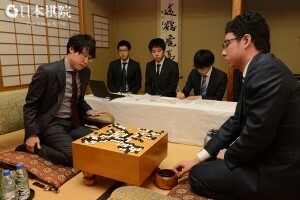 Ichiriki Ryo (right) faces his first kadoban in the third game, scheduled for November 24. As least he has the better part of a month to consider how to righten his ship in his double challenge. Yamashita makes Kisei playoff: The third game in the knock-out to decide the challenger in the 42nd Kisei tournament was played on October 27. Motoki Katsuya 8P had done well, moving up from bottom of the knock-out, as C League winner, past the B and C League winners, but his run came to a stop when he met Yamashita Keigo 9P, second-place-getter in the S League. Taking black, Yamashita won by resig. He will meet Ichiriki in the final, though the latter starts with a one-win advantage. 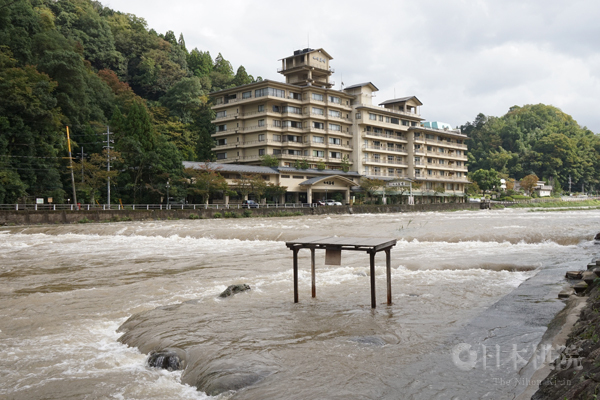 Fujisawa evens score: The second game of the 36th Women’s Honinbo title match was held at the Izanro Iwasaki inn in the town of Miasa in Tottori Prefecture (at right, with the Mitoku River flowing in front of it). Taking black, Fujisawa Rina (left), the defending champion, forced Xie Yimin, the challenger, to resign after 205 moves. This evened the score at 1-1. The third game will be played on November 4. First round completed in 73rd Honinbo League: With the two results given below, the first round of the new league has now been completed. 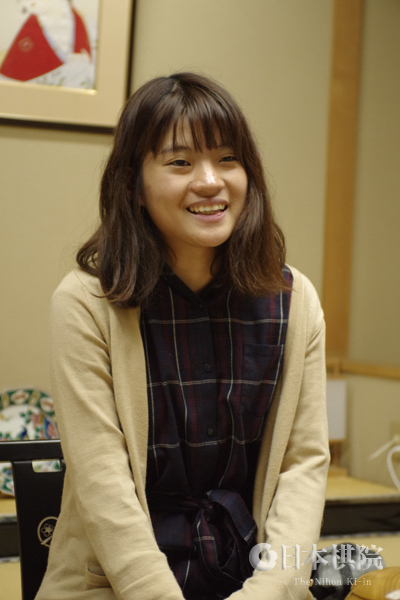 Of the four newcomers to the league, only Ida Atsushi has won a game. Besides the players below, Motoki Katsuya and Yamashita Keigo have won a game. The others to have lost a game are Kobayashi Satoru and Shibano Toramaru. (Oct. 19) Ko Iso 8P (W) beat Yo Seiki 7P by resig. (Oct. 26) Ida Atsushi 8P (W) beat Hane Naoki 9P by 3.5 points.